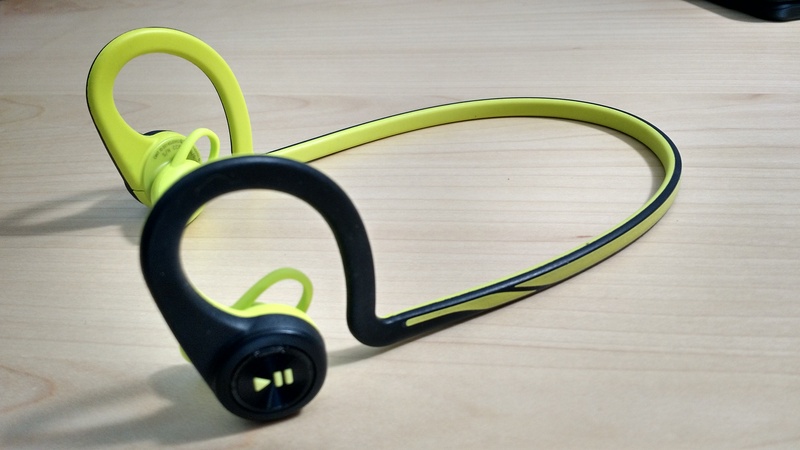 Now that I have an Android Wear watch that can keep up with my daily running, I’ve been on the lookout for a solid set of Bluetooth headphones. I typically run while listening to music and my Sony Smartwatch 3 — as well as all other Android Wear devices — can play locally stored music wirelessly. My last headset is from at least three years ago: It’s an old pair of BackBeat 903+ from [company]Plantronics[/company]. The company has a newer model in the BackBeat Fit that I’ve taken for a spin over the past week with both my [company]Google[/company] Android and my [company]Apple[/company] iOS devices.